The Greek word for “purpose” in the above scripture reference is 'touto' meaning cause or intent. The word for “manifested” is 'phaneroō' which means make to manifest. 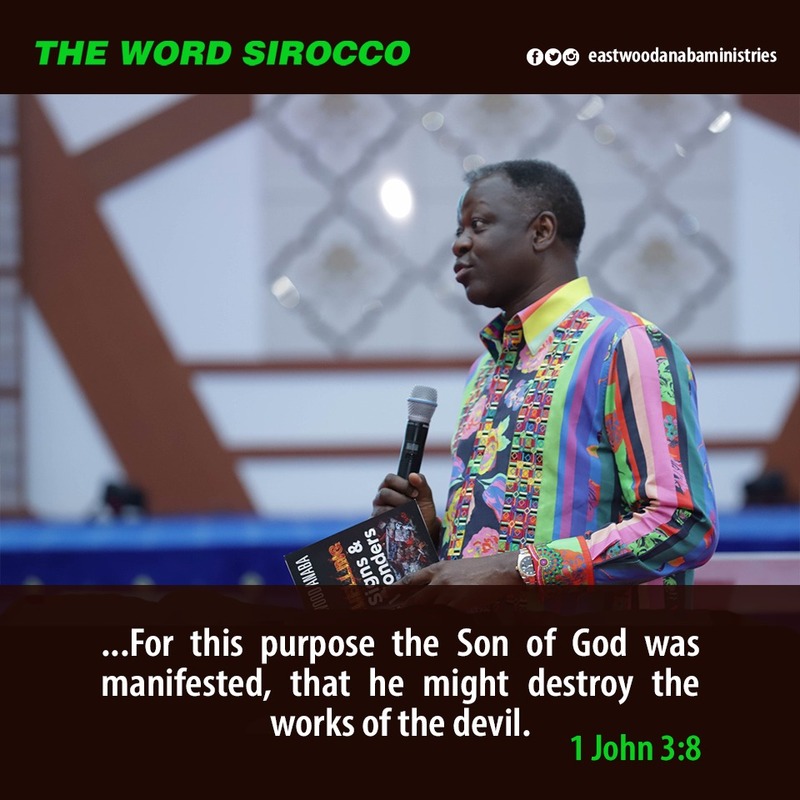 The Son of God appeared for the intent of destroying the works of the devil. Jesus Christ was manifested to break the power of sin, sickness and death and to do the will of God. He was begotten by the Father for a purpose, and anointed with the oil of gladness above His fellows. (Hebrews 1:4-5, 8-9). Jesus Christ is blessed by the Father to execute His purpose of blessing those who believe in Him (1 Timothy 6:13-16). Jesus Christ crystallised His purpose on earth in John 10:10. He contrasted His mission on earth with that of satan. The only Potentate, King of kings, Lord of lords, who only has immortality and who dwells in the light which no man can approach, did not dismiss satan’s existence but emphasised the superiority of His mission over satan’s mission. It is naïve to pretend that satan has no destructive intentions on earth. The writer of the book of Acts describes the two-fold mission of Jesus Christ by saying that He went about doing good and healing those who were oppressed by the devil (Acts 10:38). The presumption of ignoring or underestimating satan’s existence is one of the reasons for the lack of impact of the Church on earth. Jesus Christ’s purpose on earth was not a mere secular purpose comprising the execution of physical and social tasks. He was deliberately and assertively spiritual. 1. Pray and thank God for the salvation package He freely gave us through the manifestation of His Son, Jesus Christ. 2. Pray also and thank the Lord for coming to destroy the works of the devil, here on earth.